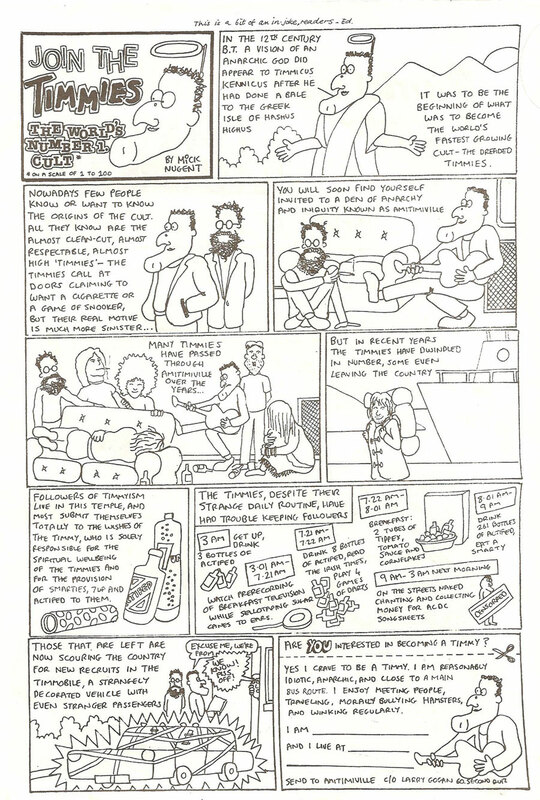 I mentioned Gakbag Comic briefly in an earlier post about Drogheda mag Almost News. 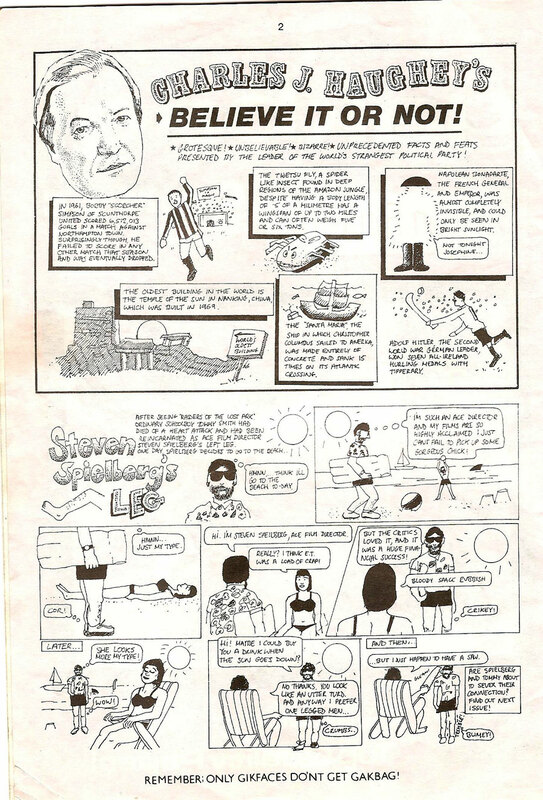 This Viz like comic features a lot of strips from its editor, Arthur Mathews and its assistant editor Mick Nugent I don’t know how many issues were published . 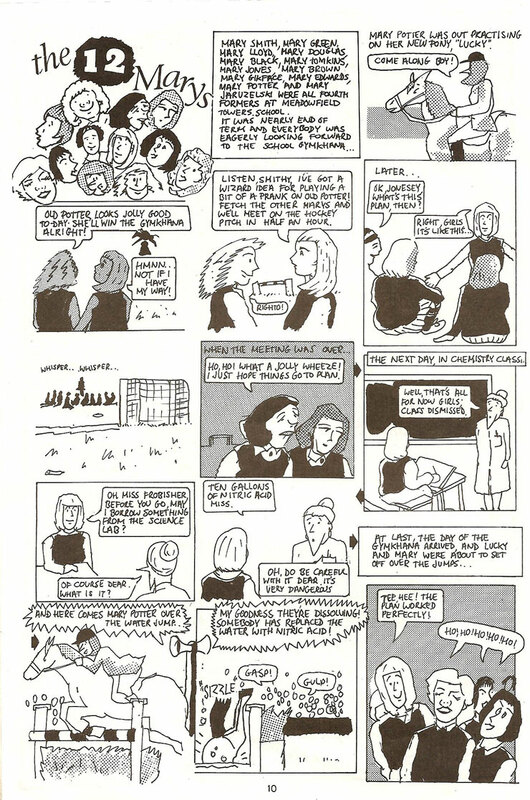 I only have this Issue & I guess that it is from 1988. Tony Clayton Lea also helped out and Trendy Trevors hair was by Andre of Coolock. And doesn’t the main character in Join the Timmies (link below) look like Mario Rosenstock? 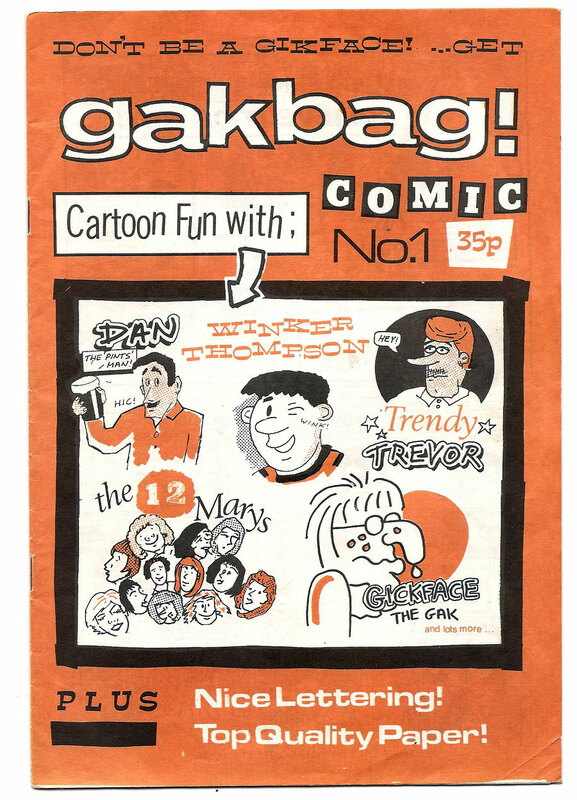 On the dating of Gakbag – I never owned one, but I’m sure I remember it from the Fast Fiction catalogue during my brief ‘zine-making phase back in 1985. That “Don’t be a Gikface – get Gakbag!” line stuck in my head for years. Also, I have memories of Davey Francis being involved – is that right? Hi Matt, thanks for comment. I don’t recall Davey’s name, but will dig out the copy again over the weekend and will let you know. 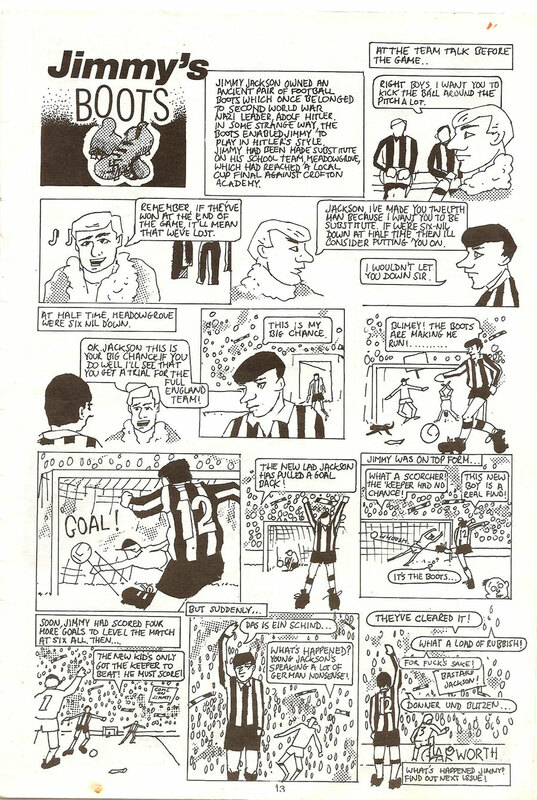 cool comic- I remember besides Gik himself, Sid the sod from C.I.E. which was a stream of consciousness meditation of one day in the life of a dublin bus conductor – which was inspired reading. And the page on ‘How to play golf after a nuclear war’ was grim reading for any ambitious golfer without their own nuclear bunker.